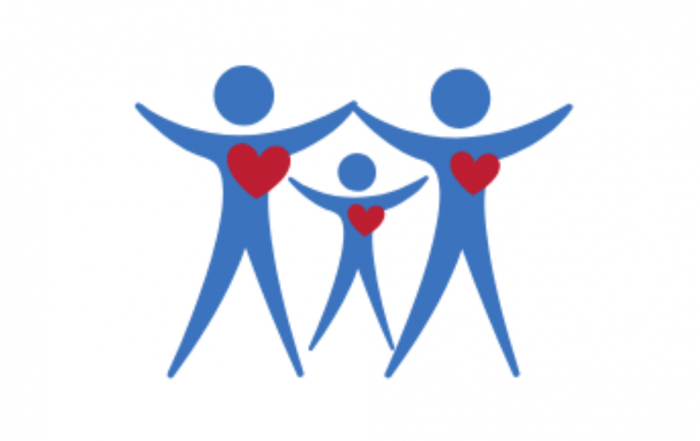 A Continuum of Care (CoC) is a geographically based group of representatives that carries out the planning responsibilities of the U.S. Department of Housing and Urban Development’s (HUD) CoC Homeless Assistance Program. These representatives come from organizations that provide services to people experiencing homelessness. 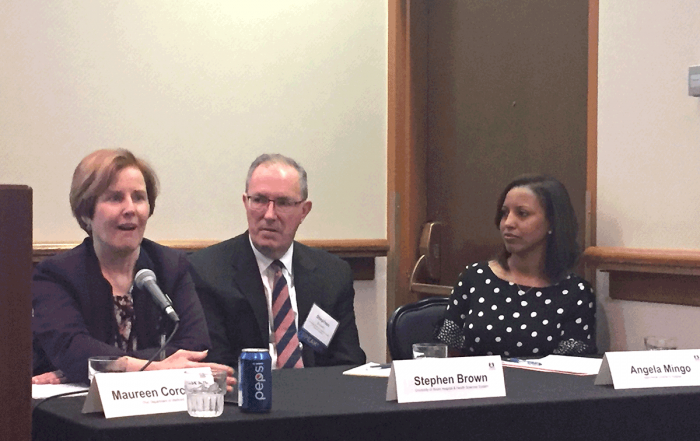 The Ohio Balance of State Continuum of Care (BoSCoC) represents the 80 non-urban counties in Ohio. 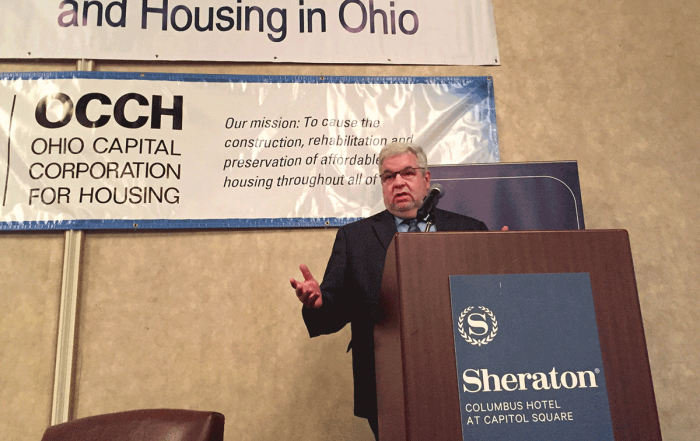 The Ohio Development Services Agency’s Office of Community Development (ODSA) and the Coalition on Homelessness and Housing in Ohio (COHHIO) serve as the lead staffing agencies and co-chairs of the Steering Committee for the Ohio BoSCoC. ODSA serves as the Ohio BoSCoC Collaborative Applicant (submits the annual consolidated CoC Application) while COHHIO serves as the HMIS Lead Agency. In summer 2014, the Ohio BoSCoC Board adopted a Governance Charter that outlines how the Ohio BoSCoC will be organized, how decisions are made, and how the CoC will ensure it meets all requirements under the CoC Program. Any questions about the Ohio BoSCoC can be directed to Erica Mulryan, the Continuum of Care Director, at ericamulryan@cohhio.org. The 80 counties within the Ohio BoSCoC are divided into 17 Homeless Planning Regions. Homeless program representatives in these Homeless Planning Regions plan and coordinate local homeless systems and programs and are responsible for working with ODSA and COHHIO to ensure all HUD homeless program requirements are met. 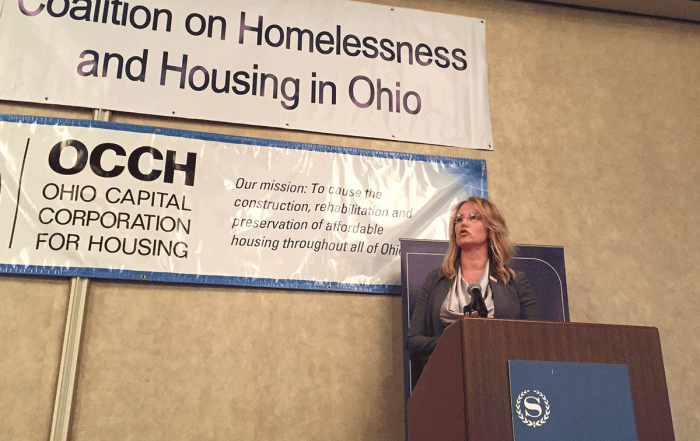 The Homeless Planning Regions report to COHHIO and ODSA, not to HUD. A map of the 17 BoSCoC Homeless Planning Regions can be found below. These Homeless Planning Regions are also responsible for meeting all requirements pertaining to state-level homeless program funding (funded through the Ohio Housing Trust Fund) administered by ODSA. These programs include the Emergency Solutions Grant Program (ESG), Homeless Crisis Response Program (HCRP), and the Supportive Housing Program (SHP). For these state programs, the Homeless Planning Regions and, in some cases, homeless services providers report directly to ODSA. More information about state-funded homeless programs can be found at http://www.development.ohio.gov/cs/cs_hshp.htm. In sum, the Ohio BoSCoC Homeless Planning Regions help homeless services providers and communities meet the requirements of both their federal grant (HUD’s CoC Program) and state grants (ODSA’s ESG, HAGP, HCRP, and SHP). A list of BoSCoC Homeless Planning Region Executive Committee Chairs and local CoC chairs/co-chairs can be found below. 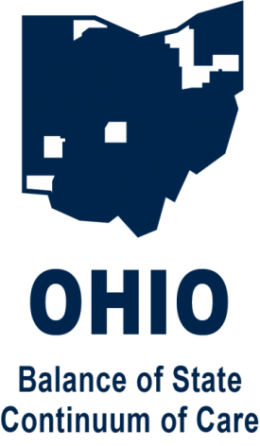 The Ohio Development Services Agency, Office of Community Development (ODSA), has been designated by the Ohio BoSCoC Board to serve as the Collaborative Applicant and the grantee for the CoC Planning grant. Additionally, ODSA staff serve as co-chair of the Ohio BOSCOC Steering Committee and have a standing seat on all other BoSCoC committees/workgroups. COHHIO provides primary staff support for all activities pertaining to the Ohio BoSCoC including facilitating CoC committee meetings, collecting and submitting PIT/HIC data to HUD, preparing the annual BoSCoC CoC application, and implementing all processes related to program performance management and improvement. As the Homeless Management Information System (HMIS) Lead, COHHIO staff provide technical assistance to providers on the BoSCoC HMIS, basic programmatic issues, and other housing and homelessness related issues as needed. COHHIO’s Continuum of Care Director and Coordinator are the primary contacts for all Ohio BoSCoC work. ODSA is also the state agency responsible for administering federal Emergency Solutions Grant funds and state homeless program funds. In this role, ODSA works to align state and federal program requirements and to ensure coordinated community planning across funding streams. The Ohio BoSCoC currently has eight standing committees/workgroups in addition to the CoC Board. Additional workgroups are added as needed. Following is a list and descriptions of the current BoSCoC committees/workgroups. The BoSCoC Board (also referred to as the CoC Board) is the primary planning body for the BoSCoC. Its members are responsible for making recommendations on policy decisions and reviewing and approving the work of the Steering Committee. In addition, the CoC Board approves the project evaluation process and completion of the CoC application for HUD funding. Members include housing and homeless service providers, funders, advocates, and a representative from every BoSCoC Homeless Planning Region. The BoSCoC Board meets every other month. Meeting dates, meeting minutes, and the current board member list can be found below. The Steering Committee is responsible for leading and engaging in most of the work related to maintenance of the Ohio BoSCoC and submission of the annual CoC Program application. Committee members also develop the application process plan, review and score HUD applications submitted by BoSCoC members, and engage in long-term CoC strategic planning. Members of the committee include the Board chair and staff of ODSA, COHHIO, and the Ohio Department of Mental Health and Addiction Services. The Steering Committee meets on a monthly basis. Meeting dates and the current committee member list can be found below. The Performance and Outcomes Committee is responsible for developing and implementing plans for the monitoring of BoSCoC homeless programs as well as the BoSCoC sytem, with an emphasis on outcomes. Committee members engage in the development of program performance improvement plans, and provide input to the Steering Committee and BoSCoC Board regarding renewal programs/outcomes for the CoC application process. The Committee is also responsible for the development and management of plans for system-wide performance. The Performance and Outcomes Committee meets on a monthly basis. Meeting dates and the current committee member list can be found below. The Project Evaluation and Ranking Workgoup develops the annual project evaluation process that is used to evaluate, score, and rank renewal CoC projects and facilitate funding recommendations for projects included in the annual CoC consolidated application. Membership includes COHHIO CoC staff, ODSA staff, and members of the BoSCoC Board. The Project Evaluation and Ranking Workgroup meets on a bi-monthly basis in the months preceding and during the annual CoC application period. Meeting dates and the current committee member list can be found below. The HMIS Management Committee is responsible for ensuring the ongoing operation and monitoring of the BoSCoC HMIS. Management committee work includes: addressing issues concerning adherence to HMIS policies and procedures, ensuring compliance with data quality standards, and addressing breaches of security. Membership includes all COHHIO HMIS and CoC program staff. 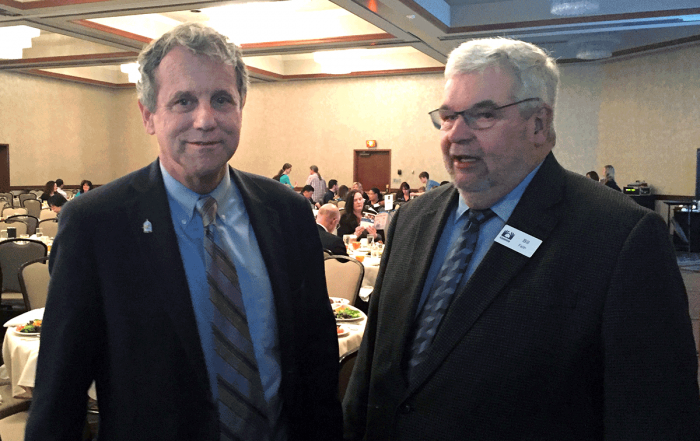 The Veterans Homelessness Workgroup is responsible for leading the Ohio BoSCoC Response to Veterans Homelessness. More information can be found on the Veterans Homelessness page. The Chronic Homeless Workgroup is responsible for leading the systems response to ending chronic homelessness in the BoSCoC. More information can be found on the Chronic Homeless page. The Youth Action Board (YAB) was created for, and currently serves as, a planning and decision-making component of the Region 17 Youth Homelessness Demonstration Project. At a future time, the CoC will look to expand the YAB’s focus to include serving as an advisory group on all matters relating to ending youth homelessness acrosss the entire BoSCoC. The Coordinated Entry Collaborative is responsible for leading the work related to Coordinated Entry in the BoSCoC. More information can be found on the Coordinated Entry page. HUD, via the Homeless Emergency Assistance and Rapid Transition to Housing (HEARTH) Continuum of Care Program Interim Rules, requires that Continua of Care (CoC) establish written guidelines for how responsibilities are assigned within the Continuum of Care and the expectations associated with how the work will be conducted. The Ohio BoSCoC Governance Charter outlines how the the Ohio BoSCoC will be governed for purposes of assisting the CoC to achieve its vision of ending homelessness in the Ohio BoSCoC in 20 years. HUD, via its Emergency Solutions Grant Rules and Regulations (ESG) and the Homeless Emergency Assistance and Rapid Transition to Housing (HEARTH) Continuum of Care Program Interim Rules, requires that Continua of Care (CoC) establish and consistently follow written standards for providing CoC and ESG assistance. 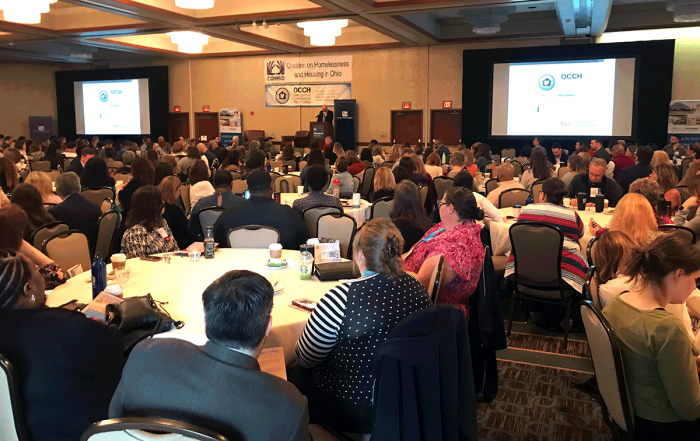 The Ohio BoSCoC has developed these Ohio BoSCoC Homeless Program Standards to fulfill these requirements and to help move the Ohio BoSCoC forward in achieving its Strategic Plan Vision of ending homelessness in the Ohio BoSCoC. In addition to meeting federal requirements, these standards will also help the Ohio BoSCoC ensure more consistent use of best practices and help to standardize program design and implementation across our homeless system. The Ohio Balance of State Continuum of Care (BoSCoC) Performance Management Plan identifies project and system performance goals for the CoC and outlines how performance is measured and monitored. The Ohio BoSCoC Performance Management Plan is located on the Performance and Monitoring page.